Celebrity news site TMZ said that Miller was found dead from an apparent overdose in his Los Angeles-area home and US Weekly said it also confirmed his death. 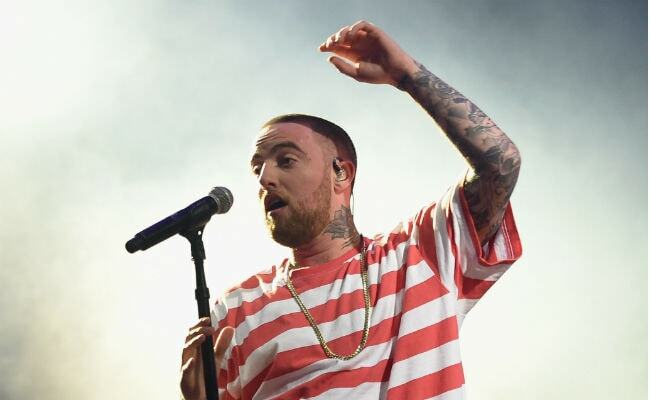 Mac Miller has been open about his trouble with substance abuse. Mac Miller, the troubled rapper who won fans with his retro hip-hop but generated uncomfortable attention with songs on ex-girlfriend Ariana Grande and Donald Trump, died Friday at age 26, reports said. A representative for Miller did not respond to requests for comment and Los Angeles emergency services declined comment. His death comes several months after he ended a high-profile, two-year relationship with pop superstar Grande, often seen as the inspiration for his songs. Shortly after their breakup, he crashed his car in May and was charged with driving under the influence. Grande at the time wrote on social media that she had long tried to help Miller become sober but described their relationship as "toxic" and said, "I am not a babysitter or a mother and no woman should feel that they need to be." Miller has been open about his trouble with substance abuse including an addiction to powerful cough syrup -- known on the street as purple drank. But he said he was getting better as he released his fifth studio album, "Swimming," last month. He told Rolling Stone at the time: "Have I done drugs? Yeah. But am I a drug addict? No." Born in Pittsburgh as Malcolm McCormick, the rapper first found fame releasing music online as a teenager, choosing a minimalist style with heavy beats that harked back to early hip-hop. His delivery was uber-masculine, with hard-spit lyrics that often graphically described sexual encounters, yet he gradually tried to mature from his frat-boy persona. In 2011, Miller wrote a song about becoming fabulously wealthy and, seeking a metaphor, entitled the song "Donald Trump." The real estate mogul was flattered by the song, although he described the lyrics as "a little hard to understand." Trump hailed Miller as "the new Eminem" -- another prominent white rapper. After Trump's surprise political ascent, Miller reversed the message of the song and would vociferously denounce the president in concert. Edward Snowden Says Julian Assange Arrest "Dark Moment For Press Freedom"